Captain Picard Day was amazing as usual. 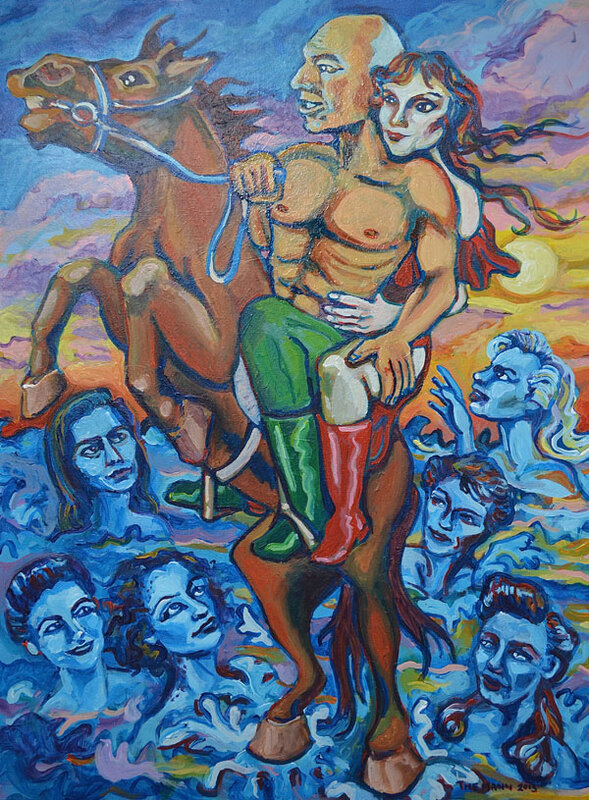 My painting “The Perfect Mate” 30 x 40 inches done in the romance novel style got third place which is great! Sadly you cannot see in this photo that I applied a gloss medium varnish to Picard’s skin to make him more glistening and beautiful looking. The painting will hang till the end of June at Floating World Comics with all the other awesome Picard Art.